Welcome to your home away from home! Our well appointed villas are located in some of the most picturesque parts of the island with some of the most breathtaking views. Why not enjoy the sunset views of the Caribbean sea or acres of a lush green well maintained golf course at your leisure? We know that one of the biggest reasons for a great villa holiday is how good your accommodation is. So, we’re going to make sure, as much as we can, that every aspect of your holiday makes you smile! We handpick our villas to make sure they’re up to our high standards and in the best locations within each destination. We also like to offer some variety, so if you’re looking for a villa that’s close to bars, restaurants and shops all of our villas are located within proximity. Come enjoy life in the sun! Our professional yet friendly Villa Representatives are there to make sure everything is in order and to give you peace of mind. We know that things don’t always go quite as expected during a villa holiday but our very own staff are only a phone call away. We offer a service that other operators simply can’t and we’re very proud of this! Three luxurious apartments located on the beautiful west coast of the island just one minute walk away from the Caribbean Sea where golden sands and crystal clear water await you. That’s not all! Relax and enjoy some of the most amazing and magnificent sunsets as each day comes to a close. These apartments are fully equipped and are within close proximity to supermarkets, bars and restaurants and public transportation. This Penthouse Suite is located within a gated community on the south coast of the island overlooking the picturesque Durant’s Golf course. You and your loved ones will have access to the swimming pool and each block is outfitted with an elevator. This Penthouse Suite is just five minutes away from the popular Oistins, ten minutes away from St. Lawrence Gap and five minutes away from the airport. 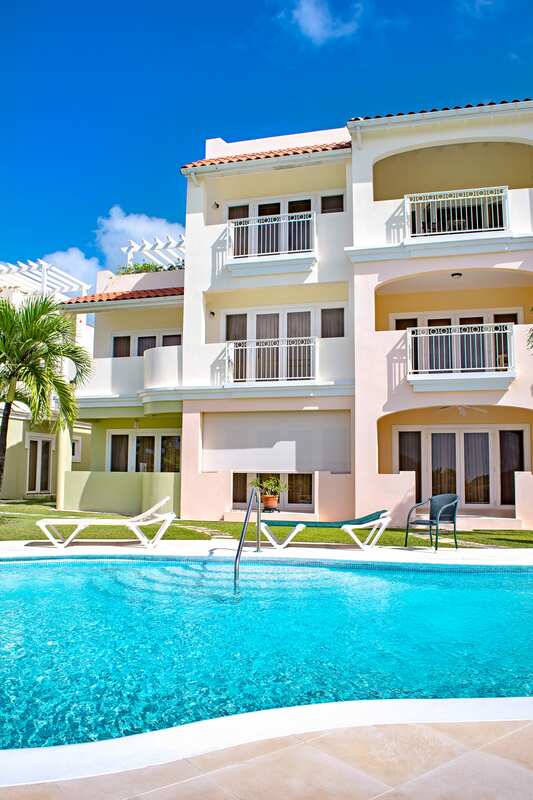 Two tastefully appointed apartments located on the beautiful West Coast of the island just one minute walk away from the Caribbean Sea where golden sands and crystal clear water await you. That’s not all! Relax and enjoy some of the most amazing and magnificent sunsets as each day comes to a close. These apartments are fully equipped and are within close proximity to supermarkets, bars and restaurants and public transportation. I always stay there when vacationing in Barbados with my family. You can’t beat it for location to enjoy the sea and beach, and easy access to anything you may need for a great holiday. The apartment is very conveniently situated as it a few yards from the beach, and bus stop, with local buses going to Bridgetown and Holetown. The supermarket is also a few yards away.